Savory Side for any meal! Slice 1 Medium Sweet Potato into discs (leave skin ON!) and place on lightly greased sheet pan. 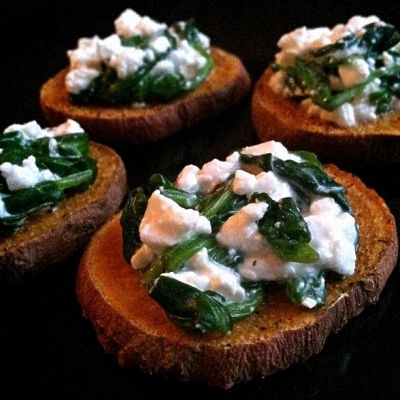 Top discs with spinach mix & serve!